At first it seemed my plea had gone unheeded. Then suddenly I became aware of something very subtle, ancient and powerful hovering in the air around me, and came to realize that all I had desired was becoming mine with little effort on my part. I had called on the Old Ones at me darkest hour... that call was now being answered. As his life moved from poverty to riches... from illness to glowing vitality... from loneliness to an adoring lover, he was determined he would share the Secret of the Old Ones with others. A Hong Kong tycoon flew him in to hear the Secret. For years he has suffered blinding migraine attacks that would incapacitate him for up to 36 hours at a time. 'I would gladly give away all my millions to be rid of these attacks! ', he exclaimed. He had tried everything from acupuncture to the severing of the optical nerve in his head, but the attacks continued. After Scorpio showed him the Old Ones' Marvelous Water-Heal-Me spell he has never suffered another attack. Another man penniless and facing eviction, turned to the Old Ones. He landed a huge lottery win and today travels the world staying in the most expensive hotels. 'I still can't believe it's happened - but I thank the Old Ones every day!' he says. 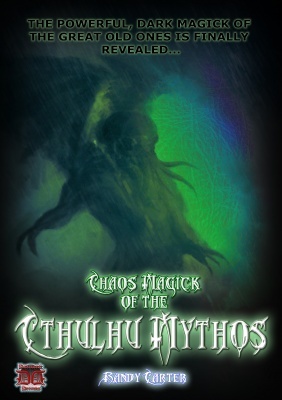 You will find the thrilling proof of his 'miracle' in the pages of The Book of the Old Ones. No elaborate ceremonies are required. No candles and incense. All you need is to call the Old Ones. Other times all you will need is one single word to obtain a 'miracle'. You will be amazed at the mysterious and powerful way in which the spells of the Old Ones work. You will receive remarkably vivid dreams imparting vital information. A mysterious stranger may appear in your life, only to disappear just as quickly - but only after something remarkably uncanny has happened. The Old Ones will protect you every day of you life. Amongst them is the all-nurturing ancient Great Earth Mother who fulfills the needs of all those who turn to Her! A young woman turned to the Earth Mother and a stranger pressed a piece of paper into her hand which changed her life for ever. She performed the Gold-Creating spell and now lives a life of luxury and ease. 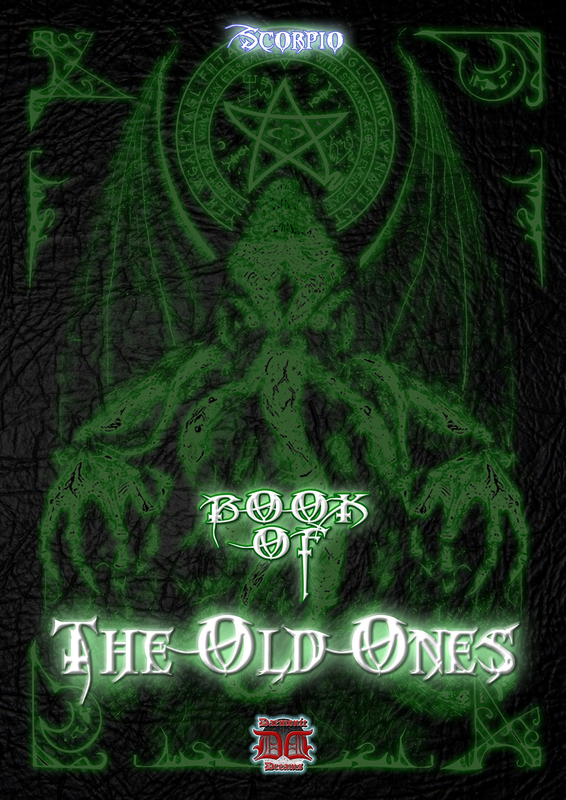 Her strange story is told in Chapter Two of The Book of the Old Ones. A young man saw violent death was beckoning - but the Old Ones intervened. He has since prospered. SECRET KNOWLEDGE - HIDDEN FROM OTHERS - IS MADE AVAILABLE TO THOSE THE OLD ONES EMBRACE. 'The Old Ones are always on your side', says Scorpio. 'Even if you do a spell incorrectly they will still ensure a decisive result, and that you will never come to harm. Scorpio who had found both love and wealth through working the spells of the Old Ones, has decided to spend his life teaching the Secret to others, instead of keeping it to himself as others have done. Sharing something so good brings its own pleasure. In the beginning of the book you will read of the Invocation of The Old Ones; How to Cast Spells that Really Work; A Unique Fast-Working Spell for protection; The Vital Safe-Travel Spell, Your Special Formula for Receiving Money. Another chapter reveals the Dynamic Bring-Me-Money Spell, and explains the Secret of the Guardians of Buried Treasure. Also: the amazing Bring-Me Gold Spell and the fantastic Bring-Me-Jewels Ritual. The latter enables the reader to mysteriously and inexplicably receive gifts of jewels! Strange and Bizarre - but Scorpio presents the proof in his book! The Titanic Bring-Me-Wealth Ritual and the Superb Bring-Me-Luck Spell are for building wealth and receiving lucky numbers. Chapter 4 explains how the mysterious power of the Old Ones operates in the lives of those who believe. Read the story of Justin F., a computer fanatic who got himself out of debt and into the money - a lot of it! Destitute Cathy C. miraculously received $10,000 and Anne G. found the proverbial pot of gold. Scorpio relates the story of a witch whose rituals failed her - but was astounded by the power of the Old Ones. Another woman used her knowledge of the Old Ones to help her husband make a killing on the stock market. Seeing the winning numbers in a dream enabled another man to win $50,000 lottery prize. The book also reveals the Volcanic Partner-Enslaving Ritual to make he or she your love slave. The sensuous You-Are-Mine Ritual has a powerful effect! And the Titillating Let-Others-Notice-Me Ritual ensures you receive attention! Learn more about the Guardians of Human Emotions who will comfort you when it's most needed. Read also of the Irresistible Bring-Me-Romance Spell. These love rituals work wonders. A man, 48, still with his parents, felt handicapped by his slight deafness. He was astonished by the effects of the Women-Notice-Me ritual. Nothing had ever worked for him previously! His full story is in the book. You are shown how to involve the Guardians of Health (not intended as a substitute for medical help, but to be used in conjunction with same), to restore well being; and how to deal with people who are holding you back. 'You can defeat all opposition and soar ahead in the accomplishment of your goals', says Scorpio. Read more in the sections headed How You Can receive Help From the All-Seeing Eye and the Explosive Vanquish-My-Enemies Ritual. For Jane D. life didn't begin until age 65. That's when she discovered the power of the Old Ones. She felt young again, romance blossomed, and her health improved. 'I plan to live another 50 years with my new found power! ', she says. David H.'s life was being made a misery by an obnoxious neighbour. The Old Ones took care of his problem. Read also the section headed How The I-Am-protected Spell Helped Sharon K. Blast her enemies. The Genuine Back-To Health Ritual enabled a mother to stop son's mysterious stomach pains. They've never returned. One of today's top TV comedians had been struggling for years playing strip clubs and low-dives. He owed his break to the Old Ones, and has sworn Scorpio to keep his true identity secret. Once the basic Calls to the Old Ones become familiar the reader can have access to the amazing Mini-Rituals for Immediate help. All it takes is one word ('Solo-Word') to get a result! When there is no privacy available for a complete spell or ritual, and an amazing Solo-Words are available. And there are Solo-Words/Mini-Rituals for finding a home, causing disorder, stopping bad luck... and much more! A Widow facing financial ruin, spoke a Solo-Word and had a sudden stroke of luck - not to mention a $10,000 lottery win! Don G. spoke a Solo-Word at the right moment and was saved from bankruptcy! An endless run of bad luck on love for Marilyn S. was stopped when she spoke a Solo-Word. She has since found true and lasting love. A phone call out of the blue suddenly solved Mike W.'s accommodation problem after he spoke the Solo-Word. Another woman uses a Solo-Word regularly for scoring on the stock market. Chapter 12 reveals the remarkable circumstances that change Josephine B. 's life. She was not attractive and felt doomed never to find the right man. Not only did she meet Mr Right, but he was rich too! Kevin N. tried everything to solve his impotency. Doctor's. Psychologist, and all the rest, couldn't help. Then he tried the same Water-Heal-Me Spell that had cured a Hong Kong Businessman of his chronic migraine. Kevin is now a new man with a very happy and satisfying love life! Such results are not coincidences. 'The Old Ones do exist' , say Scorpio. 'They are the Path to the Meaning of the Truth. Call on them and see fantastic results'. This UNIQUE Occult text now comes complete with a beautiful, 100% hand-crafted Elder Sign Talisman, in virgin brass (or choose to upgrade yours to our fully-consecrated Black/Brass Deluxe version). - PLEASE NOTE: Set Supplied with ONE Elder Sign Talisman only.